« Should the High Flyers Hang Out with Others Like Them? Dean Shareski shared a very thoughtful talk at TEDxWestVancouverED last spring, arguing the need to include more joy in our schools and in our lives. I have known Dean for a few years and regularly follow him online, and it is great that he lives this life full of joy. He is often approached by others who wonder how he can find the time to do some of the things he does — it is all a matter of priorities and what is important. I was recently reminded of his talk when reading Anchorboy – True Tales From the World of Sportscasting (when you have a brother who works at SportsNet you get gifts like these) by Jay Onrait. Jay is an anchor on FOX Sports 1’s FOX Sports Live out of Los Angeles, having recently started there after a successful career in Canada. The book is a collection of essays tracking his career at Global TV in Saskatoon, to a very successful decade plus-long run at TSN. The essays give an insider’s view to the media business and a look behind the scenes of television in Canada. So, just how does this link to joy, education and Dean Shareski’s TEDx Talk? People would tune in to watch Jay because the show was far more than a sports highlights show — it was a show about people who loved what they were doing, who were informed, but who were also trying to bring a smile and a laugh to their audience. He recognized that the current sports highlights format needed to change, and that meant he needed to reinvent his work to stay relevant. I think there are some parallels to what Jay says about covering sports, to what Dean argues about joy, to teaching and learning in our schools. Not that we need to turn our schools into edu-tainment, a mix of education and entertainment, but just as Jay realized sports highlights shows needed to offer something more and different from what viewers could get on the Internet, we need to have the same view of our schools. If our classes are the same as what students can find in a video on YouTube, or a lesson from Kahn Academy, they will become increasingly less relevant. And, at least part of the answer is “joy”. Dean illustrated this in some of his examples of real-world, hands-on learning kids were engaged in. The power of young people coming together to learn needs to be fun; it doesn’t need to be fun all the time, but it does need a good dose of joy — not only joy for the students, but fun for staff as well. Show me a school that is doing well, and I will show you staff who enjoy having fun in their class, and with each other. Mark Twain said, “To get the full value of joy you must have someone to divide it with.” This is definitely part of what we are trying to do in our schools. One of the nicest compliments I have ever received was from my first principal, Gail Sumanik. In a reference letter she described me as “a serious thinker who doesn’t take himself too seriously.” I know I stray from this description from time to time, but it is something for me to continue to aspire to, and to more joy. Here is to a 2014 filled with more joy. great post, absolutely agree! The ‘tyranny of the urgent’ can distract us from what matters most and we then also may take ourselves too seriously. The two most inspiring schools that I have encountered recently had a sense of joy, intentionality, and purpose. I like Parker Palmer’s idea for bringing joy to learning: engaging in the ‘grace of great things’. In grade 9 I found ‘the grace’ of some ‘great things’ in social studies and continue to enjoy learning about the natural world and the on-going saga of all of us. That ‘spark of joy’ came from the teachers who found much personal joy in these things and were willing to share their joy with us. This kind of joy in learning depends on the richness of face-to-face human interactions. No machine can do that, as Twain points out. I think joy is deeper than fun. Fun is part of the process, joy is more in the sense of accomplishment. 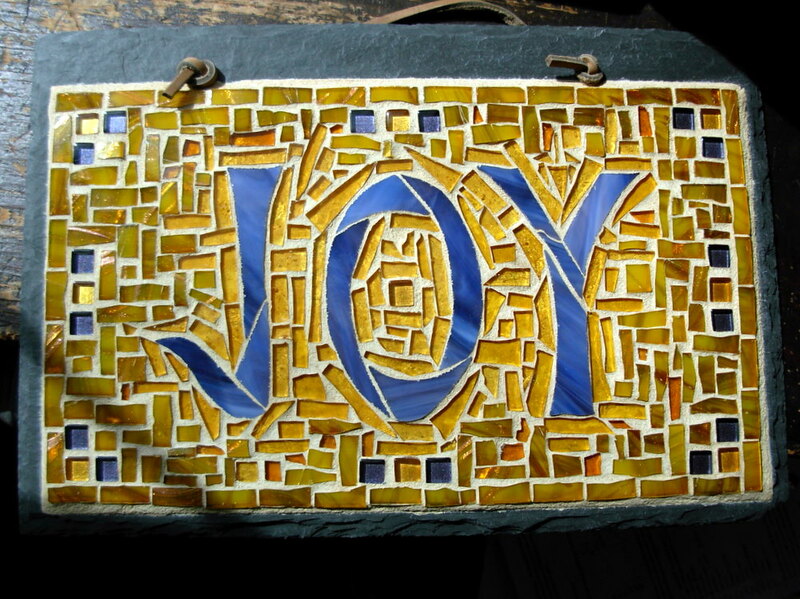 As Brian alludes to, intentionality and purpose are linked to joy. Sorry if I ‘twisted’ your thought Brian. I think you actually enhanced and completed my thought… thanks! Thanks Susan (and Brian). There is definitely something about joy that links to being part of a community. Doing something alone can be fun, but the joy usually comes in the shared experience. A great post Chris. I also wanted to point out that joy is in the District’s strategic plan and is one of the key values. Joy to me is equally as important as all of the other values as why else bother if you can not have at least a little bit of it. Every day. Thanks Cindy. I should have come back to that point around the Board’s values. I remember being asked in my interview seven years ago about which value(s) resonated with me and I picked up on joy. I also think it is important to distinguish this from happiness – it is something so fundamental. Several years ago we were asked to provide the VSB with a school Code of Conduct. Being a child-centered school, I suggested we ask our students to help us with this. What did we get in the end? Do Your Best, Help Each Other and Find Joy!! What a great code of conduct – a very simple message for what we want for all our students. I think the other thing that Jay and Dan do is create community. They clearly enjoy their work and are inviting you to join them in their fun. I think schools and classrooms need to think more about deeply about this. Joy is defined as the expression of well being. Given we’re dealing with children and young people this type of expression needs to be full of playfulness and wonder and occasionally mixed with silly. Sometimes we focus on those outward expressions and we should. But the real prize is the community we create with each other as we participate in joyful experiences. As you suggest, our sustainability as an institution depends on it. Dean – the connection to building community is a good one. When looking back at all the examples you shared around joy, on some level each was also closely linked to building community – whether that was building community face-to-face or creating a product that would be shared as part of a digital community. I appreciate your thoughtfulness in this area. As a teacher, one of my goals is to have at least one activity each day which inspires playfulness, imagination, wonder, or silliness, so that I can build community amongst my learners, and give them a reason to keep coming to class. As a principal, I want to hear laughter every day – when learners get together, when teachers get together, and when parents are around. If I don’t hear that laughter, I know something is wrong. If we refuse to enhance and celebrate the social atmosphere of our schools, we risk becoming irrelevant. Thanks Allan – it is wonderful that we seem to have a re-found appreciation for laughter in our schools. I find walking into a school office I can quickly tell if the school is a place of regular “joy”. For me, along with the Ode to Joy, the most significant thing Dean/Jay offered was the reminder that we constantly need to reinvent education. It is not astatic enterprise, and we must strive to be relevant or we will become irrelevant in our students’ lives. Thanks for the comment Maureen – the reinvention is also what brings so much vitality to all of us who work in the system as well.